“One lives and survives only if one has the ability to swallow and digest bitter and unpalatable things. 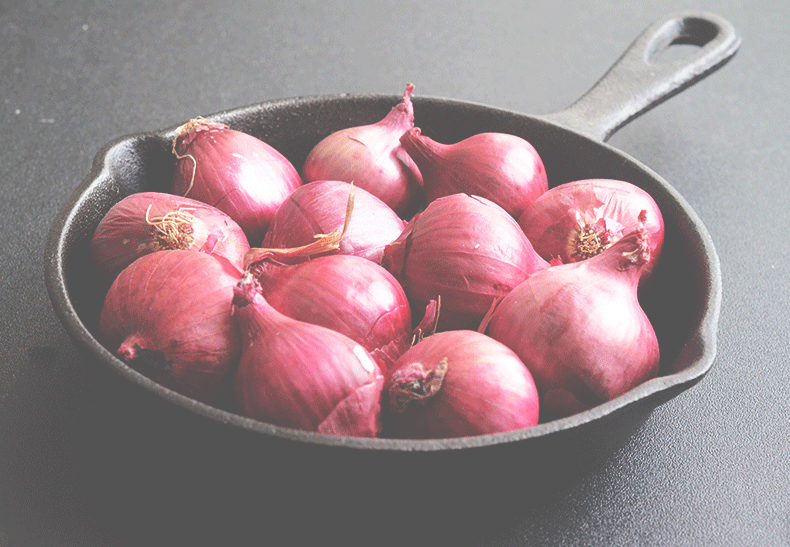 We, you and I, and our people shall live because there are only a few among us who do not love raw onions”–The Wandering Falcon. I hadn’t given it much thought before, but this sentence made me realize how important a place raw onions or pickled onions have in South Asian cuisine, and how that is related to our close geographical and cultural proximity to the North West Frontier. All Indian restaurants in India that serve North West Frontier cuisine have tables set up with Indian pickles, limes, green chilies and a jar of pickled pearl onions that’s frequently replenished. I have always been amused by the ability of onions to uplift a simple meal of lentils and rotis to an exciting and comforting meal. It adds warmth, a sense of joy, and completeness to any meal. When they are pickled, they make the meals Royal. I would’t be lying if I said that I go to some restaurants in Park Street more for the pickled onions than for its food. In other words, I wouldn’t eat the food there without the pickled onions. No, that’s over exaggeration. I would definitely still eat there, but I certainly wouldn’t be as happy. Last year on my visit to Kolkata, a friend of mine, who was worried that living in a tiny suburban town for six years had made my urban skills a little rusty, skills with which one hops on public transports or crosses main roads with the nonchalance of a highway deer, had offered himself to be my chaperon, to take me around the city, to eat at old and new places. We had decided to go to Golbari one day, but when I had remembered that they don’t serve pickled raw onions there I had decided, much to his dismay, to go to Peter Cat instead. Just for their pickled onions! There I polished half a jar of onions even before the food arrived. Then I finished a couple more jars with my “continental” sizzler! To most people raw onions and “continental” food are a complete misfit and my friend looked at me with an expression of disapproval. I responded with complete indifference, because I believe that the innumerable pickled onions that I polished at Peter Cat on my numerous visits has made me a stronger person. Mix all the ingredients in a jar and refrigerate for 2 hours before serving. This will keep for up to 3 months in the brine. 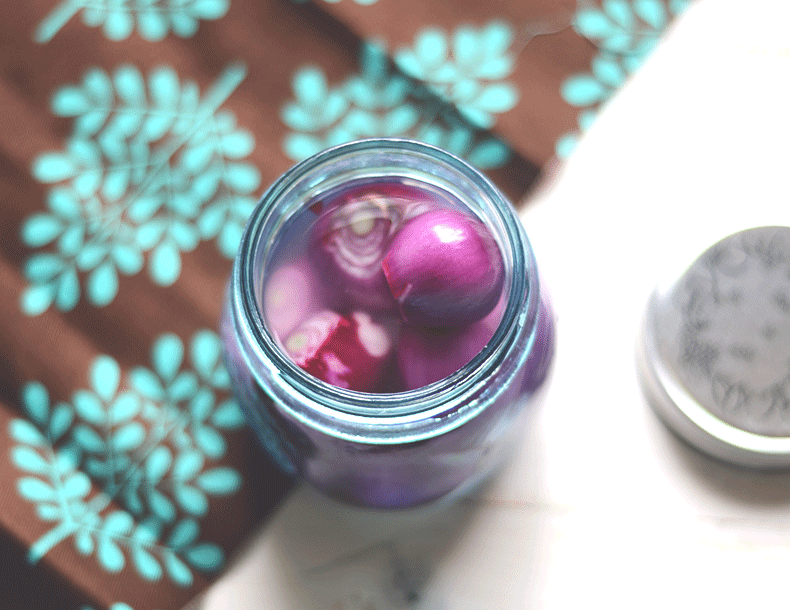 I make another quick version of pickled onions that I like to serve with kebabs. For this, mix one sliced red onion, 1/2 tsp of red chili powder, salt and sugar to taste, and 1 tsp of vinegar in a bowl and serve immediately. I have admittedly never made pickled anything before. But I’m pretty sure you just convinced me to change that asap! Is there a preferred sweetener other than white sugar that could be used? Perhaps honey?